Well, it's true: history DOES repeat itself. Back in the early eighties, the buzzword was "Digital." Everyone though they needed digital phone systems or their current equipment would become obsolete when the Central Offices went digital. This was not the case. Ninety-percent of the dial-tone leaving the digital Central Office was still analog. Although digital now holds ninety-percent of the market place, we still sell Panasonic analog systems today because they meet our customer's needs. Welcome to 2009. The current buzzword is "VoIP" (Voice over Internet Protocol), also known as PureIP or SIP (Sessions Initiated Protocol). While many IT and Telecom personal are pushing customers onto this platform, the same situation applies today as it did back in the eighties. You need to decide what your needs are and select the best product. While pure VoIP systems have their place, they are not needed by everyone. Let's look at some pros and cons presented by this technology. VoIP systems allow multiple sites to be seamlessly lined together through the internet. This could result in great savings in long distance by allowing all phones to function as if being in one building. Calling from phone to phone between sites would appear as an intercom call. This requires a high-speed broadband internet connection between sites. VoIP systems provide for system phones in remote or home offices. People can work from home, but appear as if they were in the office. 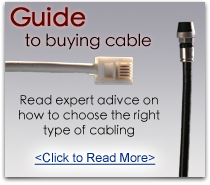 This requires a high-speed broadband internet connection at home and work. A VoIP system offers centralized voicemail. One voicemail can serve several sites. VoIP systems phones use your existing data network and require dedicated Cat-5e or higher cable. This would be expensive if converting form a traditional Digital system where Cat-5e cabling might not be already in place. VoIP systems are more expensive than traditional Digital systems, and often do not offer the same features and/or options as Digital systems. Putting all your eggs in one basket can be dangerous. If you're using VoIP telephone and the network goes down, not only do you loose your computers, but your phones as well. Can your business survive without phones? You decide. 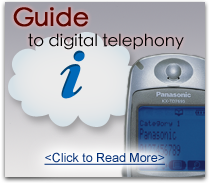 If all of your phones are in the same location and you do not need to provide service to remote or home office users, then the tried and true Panasonic digital phones are for you. Panasonic leads the way with a Hybrid system. They offer the traditional Digital sets but also allow you to add the VoIP features if necessary. 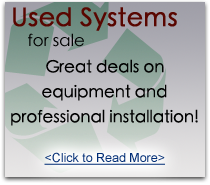 This not only saves money on the up front costs, but adds flexibility so you can add these capabilities later. This afford the greatest ROI (Return on Investment) in the business by lowering your out of pocket expenses. If you are building a new site or renovating and existing site and have already decided on a Pure IP solution, then the Panasonic NCP-500/1000 is the system you want. Please allow Ex-Tel Communications to provide you with a free analysis of your current and future communication needs.